“FIFA is not in crisis,” according to FIFA President, Sepp Blatter. When pressed by reporters, he responded, “I am the President of FIFA. You cannot question me.” Well, as long as he says so… (cue eye roll). According to media and the blogosphere, FIFA is corrupt. It seems to be almost the accepted view that cycle racing is rife with doping. Baseball, sumo wrestling, and many other sports are, or have been, in the same situation. While I am not in a position to comment on whether any of these allegations of systematic corruption are true, I can comment on the sponsorship angle. Last week, there was a surge in social media with people calling for a boycott on FIFA sponsors. The idea was that if fans put pressure on the sponsors, the sponsors will force FIFA to sort themselves out and become more accountable and transparent. Geez, how frustrated does an audience have to be to create that kind of groundswell toward sponsors?! After this many years in the industry, I’m pretty confident on how they actually will respond. Some will take the “nothing to do with us – it’s just marketing” route, while others won’t address it at all. In the case of FIFA, neither of those approaches is appropriate. When questions start to be raised about corruption or scandal, sponsors can rightfully take the approach that they were also blindsided – that the issues have been thrust upon them, just like they have been thrust upon the fans. At some point, though, the issue may escalate, or go on long enough, so that the sponsors that keep renewing will be viewed not as marketers through the sport, but endorsers of the sport. If the fans are concerned, the brand should be concerned and show it. If tens of thousands of fans are so frustrated with a governing body that they are trying to get the sponsors to help them fight the battle for reform, sponsors need to listen to that and respond. That’s not smart, for a brand that is trying to engender a connection, affinity, and dare I say it, love for their brand. So, while sponsors may hate that I’m saying this, you can’t stand by while fans and media become more and more dismayed with the sport, team, or whatever you sponsor. You can’t do the sponsorship equivalent of “pleading the fifth”. Embrace your role as an amplifier of the fan experience, and if that fan experience is calling for reform and transparency, you will be their biggest hero if you use your scale to help them achieve that. 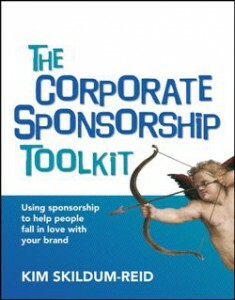 For all you need to know about best practice sponsorship selection, leverage, measurement, crisis management, and more, you may want to get a copy of The Corporate Sponsorship Toolkit.